Description: We can't think of a better way to relax on the couch and catch the game! 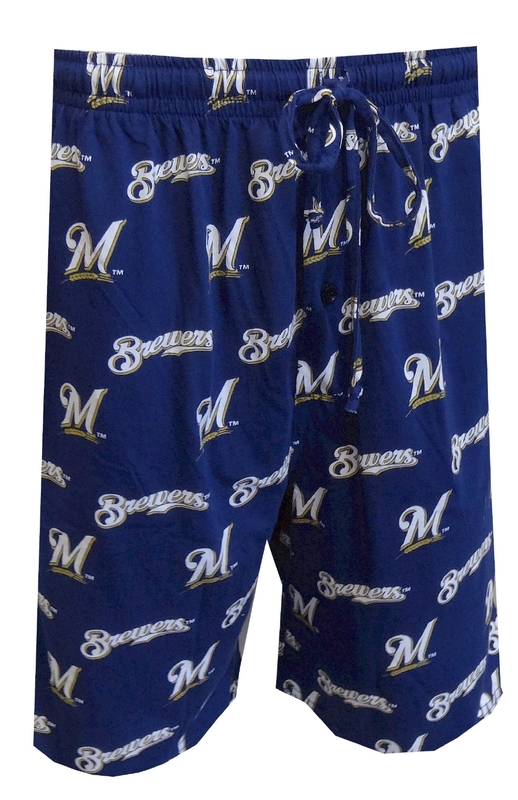 These lounge shorts for men feature Milwaukee Brewers trademark logos on a navy blue background. They are machine washable, have a button fly, side pockets and a covered elastic waistband with drawstring tie.